Hello from the Netherlands ! Five weeks ago me and my daughter welcomed a new family member called Yuka and thought it would be a good idea to look for a nice forum about Huskies. After our Border Collie passed away about 8 months ago we thought hard about what kind of dog we would like to have as our new family member our choise was a Husky. Wishing you all a great day ! Yuka is beautiful!!! Love those facial markings. Congratulations and welcome to the forum! Welcome aboard! That sure is a good lookin pup. hi, welcome to the forums. she is very cute, cool markings. Training will be a bit different than a border but energy level is right there. You will have fun. 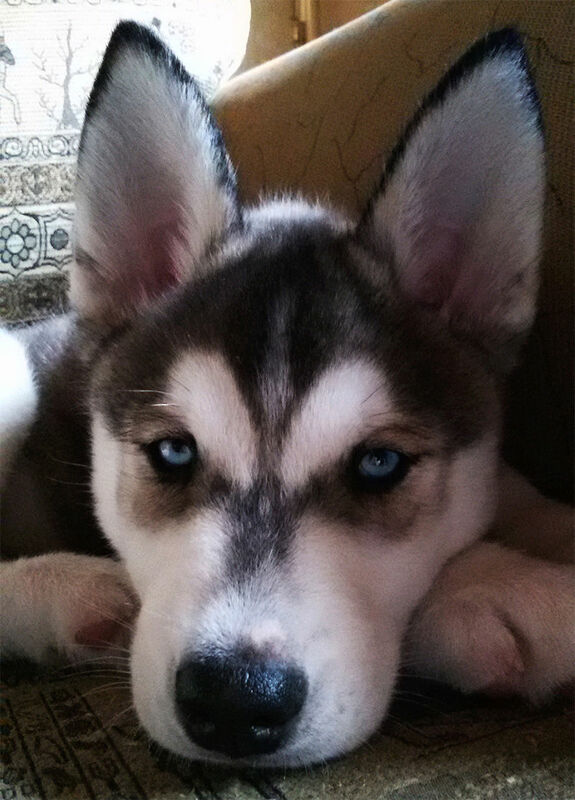 Beautiful pup and welcome to the forum. I like a challenge, so far training has been going quite well though and he already learned quite a lot in the short time he's here. Sit, laydown, stand, lay on his side (next step roll over which hasn't been a succes yet XD), give paw and give other paw, let go of toys, search, follow (which he does really well which i didn't expect after all the things i heard about huskies), sit before we cross the street and sit before he can run around on the grass (long leash) after the command free. Having a lot of fun training him anyway and also gotten to know the stubborn side where he just acts like im not there but that hasn't been to bad. Looking for a good dog school atm, mostly for socializing with other dogs and to maybe learn a few extra things. Subject: Re: Hello from the Netherlands !